The European Union will be unable to capitalize on blocking the Nord Stream 2 project, which is why Brussels will not support sanctions against the companies participating in the project, Russian expert Andrey Kolesnik told Sputnik. In an interview with Sputnik, Andrey Kolesnik, director-general of the Russian law firm Renaissance-LEX, said that the European Union will not back sanctions against companies taking part in the Nord Stream 2 project because Brussels will be unable to profit from disrupting this program. 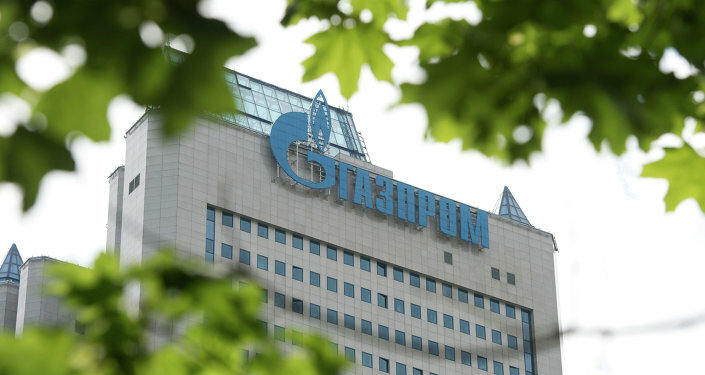 Earlier, Andriy Kobolyev, chief executive of the Ukrainian state energy firm Naftogaz, asked the United States to introduce sanctions against the major Western European energy companies cooperating with the Russians state gas giant Gazprom on the Nord Stream 2 gas pipeline project. Kiev opposes the construction of Nord Stream 2, fearing for the prospects of gas transits through Ukrainian territory. The Nord Stream 2 pipeline aims to deliver 55 billion cubic meters of Russian natural gas per year to the European Union across the Baltic Sea to Germany, bypassing Ukraine. In addition to Gazprom, the Nord Stream 2 involves some of the world's largest energy companies, including E.ON, BASF, Wintershall and others. The pipeline's launch is planned for 2018. — WeNeSe GmbH (@WeNeSe) 16 июня 2017 г. Commenting on the matter, Andrey Kolesnik said that "predicting the results of voting on the sanctions is not possible at the moment." "At the same time, it should be noted that the mechanism for the implementation of sanctions cannot be launched without the support of those EU countries, through the territory of which the gas pipeline will pass," according to him. "Since Nord Stream 2's cost stands at about 9.9 billion euros, the distribution of this sum among European contractors of Gazprom makes many countries economically interested in the project," Kolesnik said. He recalled that the US slapping sanctions against a state or legal entities is only possible if a relevant law is adopted. — Nord Stream 2 Corp. (@NordStream2) 19 июня 2017 г. The legislative initiative can only be initiated by Congressmen, namely, it should be submitted by one of the 100 members of the Senate or one of 435 members of the House of Representatives. Last Wednesday, the US Senate voted in favor of new sanctions against Russia over its alleged interference in the US presidential election in 2016. The new package of sanctions included companies contributing to the construction of Nord Stream 2. The bill is yet to be approved by both the House of Representatives and the administration of US President Donald Trump. The decision has already prompted criticism in the European Union, with German Foreign Minister Sigmar Gabriel and Austrian Chancellor Christian Kern accusing Washington of trying to squeeze out supplies of Russian natural gas to the European market and promote US liquefied gas supplies, which will undermine European companies. The two officials stressed that the issue of providing energy supplies to Europe was the European Union's own business and the United States should not interfere.